What does an animal control worker do? Would you make a good animal control worker? Take our career test to find out how you match with this and over 800 other careers. What is an Animal Control Worker? What is the workplace of an Animal Control Worker like? Animal control workers handle animals of all types, from pets to wildlife. They investigate mistreated animals and control those that are deemed dangerous, abandoned or lost. Some of the jobs within this field include animal control officers and attendants, investigators for animal cruelty, dog wardens and catchers, canine service trainers, and humane officers. While not necessarily high-paying positions, there can still be great joy found within these jobs. Saving an abused animal from further harm can be a very rewarding experience. Animal control involves a combination of animal investigation, care and education. Animal control workers patrol public areas, respond to service calls, or work in shelters. Their jobs can also lead them into the courtroom when animal laws have been violated and cases are being tried. They also help control abandoned and unattended animals, investigate the mistreatment or abuse of pets, determine if an animal is dangerous, or help to remove a dangerous animal. One of the perks of this job is being able to supply personal care to the animals. This includes feeding, watering and giving the animals some one-on-one attention. People often call animal control because a stray or injured animal has wandered onto their property. The ability to use nets, nooses and possibly tranquilizer darts to subdue unruly animals is a necessary job requirement. 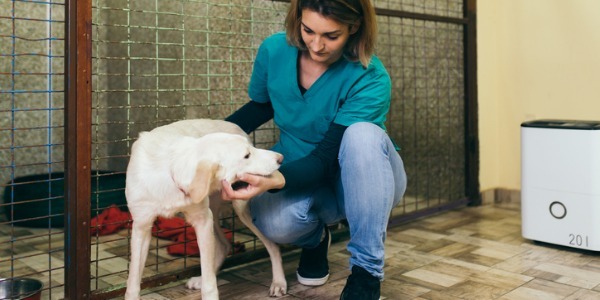 If the animal is injured, an animal control worker will have to be able to determine the extent of the injury by examining the animal, as well as determine medical treatment. If there is suspected animal abuse, interviewing witnesses, investigating the crime scene, collecting evidence and writing follow-up reports may be required. Learning how to safely remove captured animals from the service vehicles is an important aspect of the job. The animal is scared and confused and has now been transported to a different location. Some of these animals may be injured or dangerous. It is necessary to be able to properly handle these animals in this type of situation, and be able to place them safely in the cages at the shelter or animal hospital. One of the most difficult and heart-breaking aspects of the job is euthanizing unclaimed or gravely injured animals. Administering the final shots that will take the animal’s life can be heart-wrenching and upsetting to say the least; however, it comes with the job. Most animal control agencies do not have the funds or capacity to house animals that no one comes to claim or are so injured that they require costly medicines or operations in order to survive. Are you suited to be an animal control worker? Animal control workers have distinct personalities. They tend to be realistic individuals, which means they’re independent, stable, persistent, genuine, practical, and thrifty. They like tasks that are tactile, physical, athletic, or mechanical. Some of them are also investigative, meaning they’re intellectual, introspective, and inquisitive. Does this sound like you? Take our free career test to find out if becoming an animal control worker is right for you. The workplace of an animal control employee can vary. Sometimes the workplace will be a service truck used to transport animals to shelters and hospitals. Other times the workplace may be at the office, in which the worker will take calls and/or write reports about the possibility of injured, abused or dangerous animals. Depending on the area of the country, the workplace may actually be within wide open national parks where the worker will travel the perimeter as well as areas inside the park to insure that there are no unsafe situations involving animals. In cases of abuse and neglect, a worker may be required to appear in court as well as help prepare evidence for the prosecution of those who mistreat animals. In this example, the courtroom would be the workplace for the animal control employee. Animal control workers may work night and weekend hours, due to the 24-hour needs of animal shelters and animal patrol schedules. Their duties can be physically and emotionally demanding.